The bank has confirmed that performing loans and customers who have engaged will also be sold off. PERMANENT TSB HAS no interest in removing customers from its Project Glas loan book which it sold to vulture fund Lone Star for around €1.3 billion, according to the Irish Mortgage Holders Organisation. CEO of the organisation, which represents the interests of homeowners in financial difficulty, David Hall met with the bank today following a week of criticism levelled at the bank for selling off the portfolio which contains 10,700 home loans. While the bank dubbed these as “non-performing loans”, a number of critics state this is not the case. Fianna Fáil’s finance spokesperson Michael McGrath said over the weekend that his office has been inundated with correspondence from people who state they were adhering to the deal struck with PTSB, and were making payments. A total of 7,400 home mortgages and 3,300 buy-to-let properties were sold off. Speaking to TheJournal.ie after this afternoon’s meeting, Hall said the bank told him the loan sale is proceeding. He added that PTSB, which is 75% State owned, has no interest in removing any customers even those who are meeting their restructured agreements. Hall said there is now an urgent need for political leadership to protect customers. “Where’s Paschal Donohoe? Where is he?” asked Hall, who said this is now political and urged Fianna Fáil’s Michael McGrath, John McGuinness, and Sinn Féin’s Pearse Doherty to put political pressure on the minister to do something. “This sale is going ahead despite customers engaging and making payments,” said Hall. What he finds “reprehensible” is that customers were told that if they engaged with banks, restructuring solutions could be found and they would not be sold off to vulture funds. This is clearly not the case, he said. A spokesperson for the bank told this publication today that PTSB announced its intention to do a loan sale about 12 months ago and launched Project Glas itself in February, “where it received enormous attention, so there was plenty of awareness that this was happening”. Hall accused the bank of not being clear from the outset about whose mortgages it had sold on, stating that the message put out in the public domain last week was that all these mortgage-holders had not engaged with the bank and were in arrears. PTSB announced the sale to vulture fund affiliate, Start Mortgages, in a press release on 31 July. It stated that the sale will primarily be made up of people who are mortgage holders classified as accounts deemed “Not Cooperating” and the 3,850 who are classified as accounts which have “refused treatments or where the account has failed to operate in line with the agreed treatment”. Following this statement, it emerged that a number of people who struck deals with PTSB, who had agreed to split mortgage arrangements with the bank, and who had engaged with the bank, found themselves sold to the vulture fund. Four days later, PTSB issued a statement, and reiterated the above criteria of who had been sold on. However, there was an additional note in the 4 August press statement which was not included in the original. It said that in addition to the “Not Cooperating” group and the ”refused treatments” group, there was an additional two categories, which the bank omitted to include in the original sale announcement. The statement continued that where the borrower has a second loan which is a non-performing buy-to-let or home mortgage in arrears, all connected mortgage loans transfer together. The statement over the weekend also had some further information. Despite the 31 July statement saying that “not cooperating” mortgage holders had been sold, the 4 August statement said that “a smaller number of properties linked to non-performing mortgages where the customer may be engaging with the bank” were also sold on. The bank said it was not able to offer any “affordable and sustainable” restructuring terms to these people. In relation to those who reached a split mortgage arrangement or interest-only arrangement with the bank, a spokesperson for PTSB told TheJournal.ie today that if that property is a buy-to-let, it would have been included in the transaction. If it is an owner occupied house, with an arrangement in place with the bank, it would also be included if the borrower also had another non-performing loan. If a borrower has agreed a restructure or an Alternative Payment Arrangement (ARA) and they have consistently made payments in line with the terms of the restructure then these terms will be honoured by Start Mortgages. The Department of Finance has said it has received the same assurances. However, speaking on RTÉ’s Morning Ireland programme last week, Finance Minister Paschal Donohoe admitted that home owners will have no say as to whether the terms of their loan will change or be restructured. Donohoe also said during the radio interview that he had no say in the loan sale, despite the bank being majority State-owned. 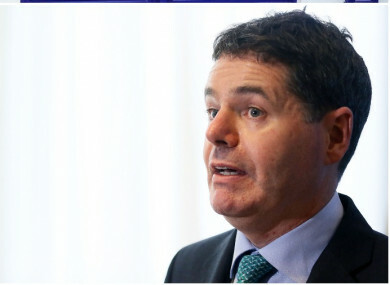 In an interview with TheJournal.ie, Donohoe’s Cabinet colleague, Transport Minister Shane Ross said the relationship agreement between the Department of Finance and the banks, which forbids the department from interfering in the day-day running, needs to be looked at. Ross said bankers don’t hold much credence for government, or Ministers for Finance for that matter. He added that it was “despicable” that PTSB announced the sale during the Dáil recess. While Hall said the Department of Finance appear to be happy to accept the bank’s assurances that deals will be honoured, he said he would respectfully like to remind the minister that the last time the government “took the bank’s word ” was back with the tracker mortgage scandal. “Look at how that worked out,” he said. “Vulture funds buy assets. They are not buying houses or homes to help people stay in their homes,” said Hall, who added that this sale could be the “straw that breaks the camel’s back” in terms of public disquiet. He called on the Controller and Auditor General to investigate the loan book sale. “We are going to have a winter of discontent” and thousands of home repossessions if the government does not act now, he said. “If Start Mortgages think they are going to easily repossess someone’s home after this they have another thing coming,” Hall said. A PTSB spokesperson said today that the loan transfer doesn’t take place for about 60 days and it “will continue to work with customers in the meantime”. Email “'Where's Paschal? ': Calls for political leadership as PTSB mortgage sale to vulture fund to proceed ”. Feedback on “'Where's Paschal? ': Calls for political leadership as PTSB mortgage sale to vulture fund to proceed ”.